After featuring in one of Coke Studio Season 11’s biggest hits, Baalkada, Jimmy Khan, the renowned self-made Pakistani singer and song-writer, proudly announces the launch of his First Live Folk Album titled ‘TICH BUTTON’ with the release of its album video teaser. 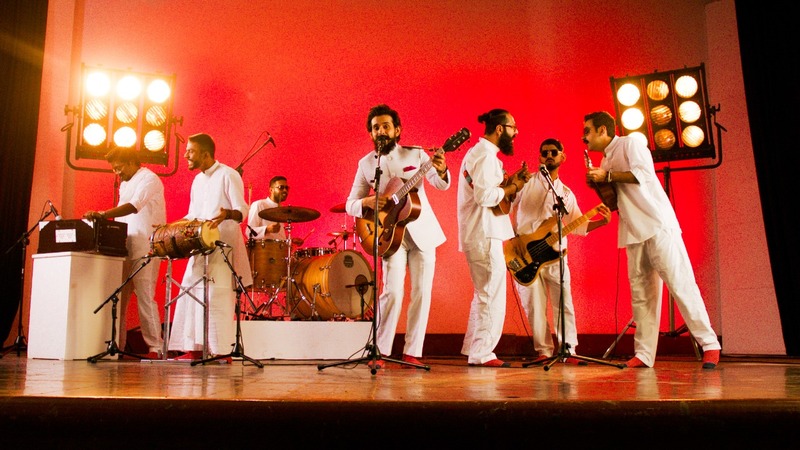 With TICH BUTTON, Khan aims to revive and preserve Punjabi folk poetry and songs infused with the signature Jimmy Khan Band sound. The album includes the band’s renditions of traditional, contemporary and original folk tunes that have been a part of their most recent live set. The entire album recording of these tracks has been done in three parts: the songs were arranged and tracked by the band at Saad Hayat’s Studio in Karachi and mixed by Zain Ahsan in Lahore. All the performance videos were shot in Rangoonwala auditorium directed by Ahsan Ali along with director of photography Ahsen Ali. TICH BUTTON, a compilation of 5 songs, includes the traditional tunes such as Nikka Mota Bajra last performed and recorded by Musarrat Nazir; Chan Kithan and Pyar Naal Na Sahi by Attaullah Esakhelvi. Sajjad Ali’s KirKir and an original track titled Tich Buttna Di Jori. The Jimmy Khan Band is now a seven member lineup. TICH BUTTON features Aziz Kazi on drums; Shane Kerr on bass; Joshua Amjad on dholak; Joshua Keyth Benjamin on harmonium; Shahab Hussain on ukulele, chung and vocals; Zain Ahsan on guitar and ukulele and Jimmy Khan on rhythm guitar and vocals. The first song from the album will be released on 1st December 2018.